Just over 30 miles North West of Orlando lies the quaint city of Mount Dora. Nestled on the shores of Lake Dora, the area maintains that sleepy, small town feel with historic buildings and beautiful old oak trees, while boasting some incredible world cuisine, and events and small businesses that draw guests from all over Florida. There are numerous restaurants to choose from, small local shops to browse, parks and green spaces to explore, and much, much more. Whether you live in the Orlando area or you’re just visiting and looking to escape the craziness of the tourist traps for a few hours by taking a day trip from Orlando, making the 30 minute drive to spend a day in Mount Dora is something I would highly recommend. 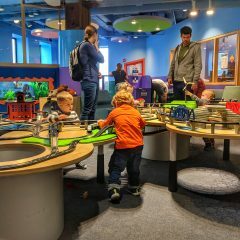 There is plenty to do for the whole family, so if you’re looking for things to do in Mount Dora, this is how I would suggest spending a day there. First things first, you’ll need to get to Mount Dora if you’re coming on a day trip from Orlando. 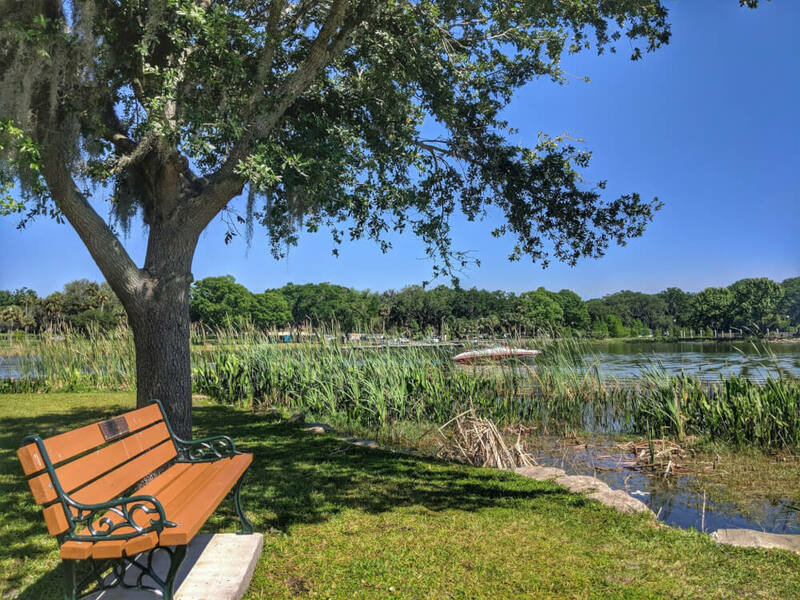 The easiest way to come from the Orlando area is to drive; it’s a pleasant 30 minute drive down State Road 429, and as you grow closer to the city itself, take a look at some of the beautiful properties surrounding the area. 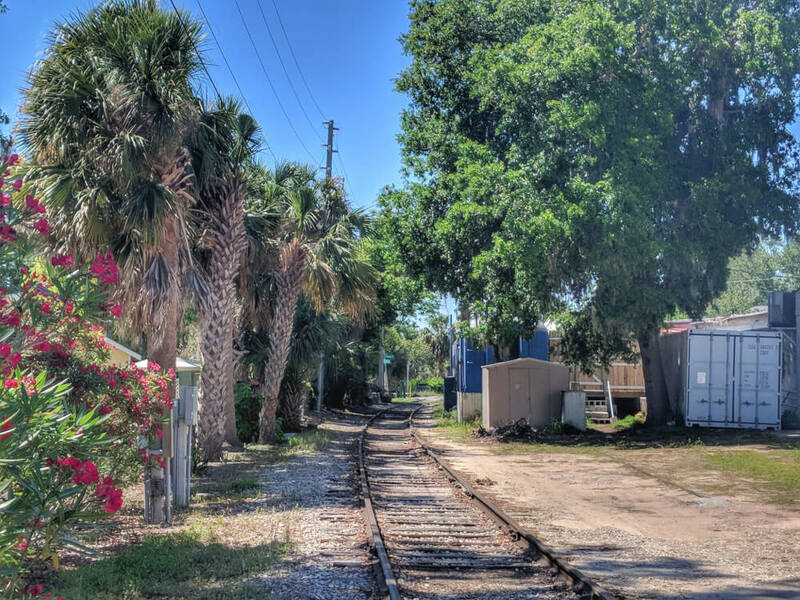 You’ll want to head to the Mount Dora Historic District, which is the heart of the city, and the place to find all those fabulous places to eat and shop. There is plenty of free public parking available, but if you choose street parking over a parking lot or garage, just keep an eye on the time limits. 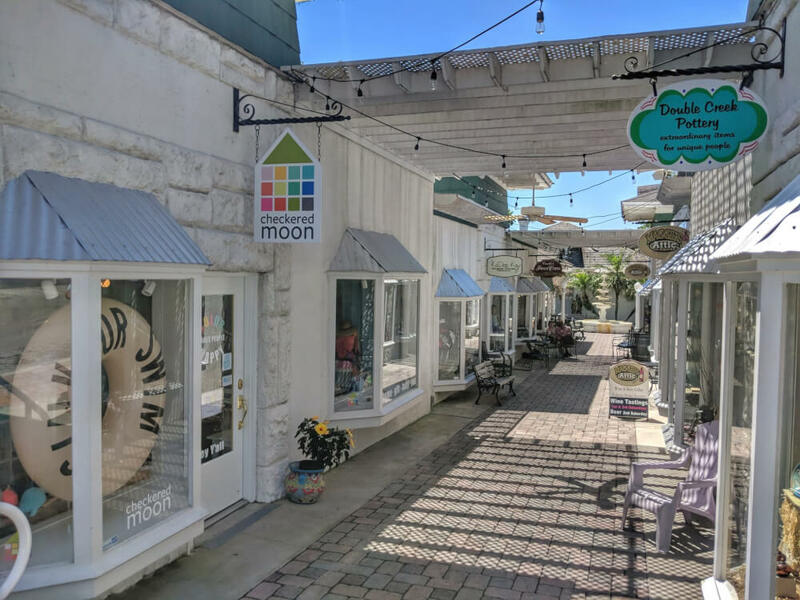 There are plenty of shops to browse in the center of Mount Dora, including some fantastic little local businesses. The Checkered Moon is a great place to find really fun gifts, including awesome wine glasses, and The Spice and Tea Exchange is the best place to get specialty salts, sugars, spices, and seasonings (try their Hickory Smoked Sea Salt, it’s perfect for steak.) KaDee Kay Gourmet Kitchen Products is also a great place to find something unique (I have a really cute set of rainbow colored kitchen utensils from there) and definitely stop by the Naples Soap Company store – it smells so good! If you have a dog along with you, or waiting for you at home, stop in to the Piglet’s Pantry Dog Bakery for a treat for your furry friend. 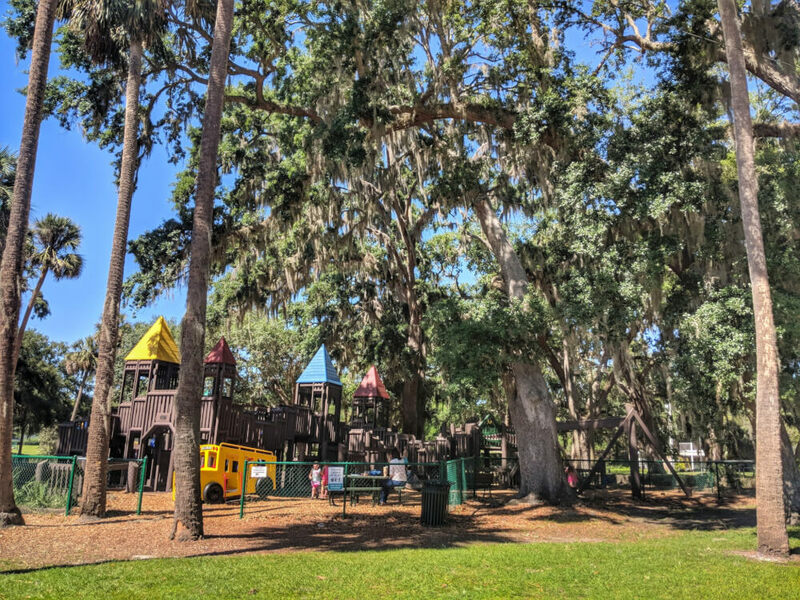 Although some of the stores can be on the small side, we’ve always found that they have room for a stroller, and plenty of them have great games and books for kids – Mount Dora is where we picked up our copy of Good Night Florida for my 5-year old! It might also be time to pick up a treat for yourself. Stop in to the Village Coffee Pot, where you can grab a cup of coffee and even something sweet to keep you going – my recommendation is the Iced Village Mocha with a scoop of their homemade strawberry ice cream, but they also have sandwiches, hand-dipped milkshakes and fruit smoothies, as well as baked goods and hot drinks. If you want something even sweeter, go across the street to the Mount Dora Confectionary, where they offer fudge, chocolates, and soft-serve ice cream that my toddler is more than a little obsessed with! If the temperature is starting to climb, now would be a good time to head down towards Lake Dora to spend some time on the water. 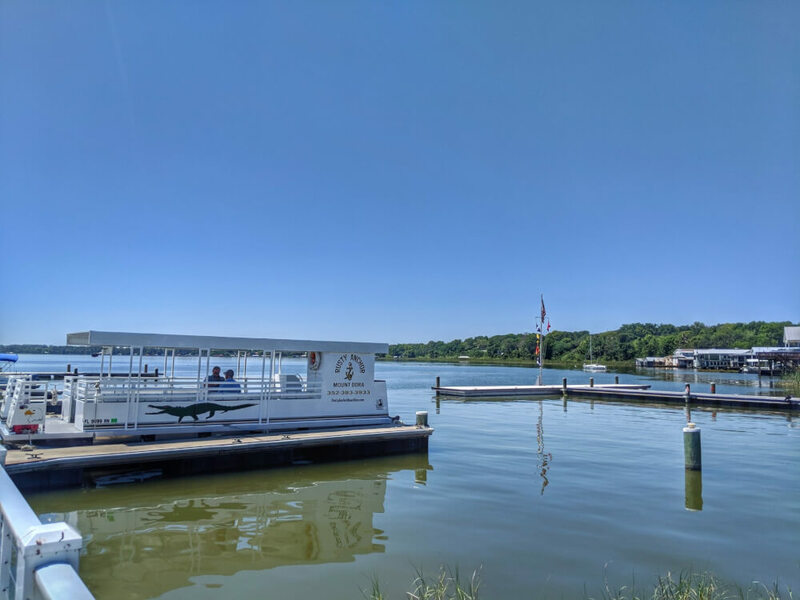 There are a few different tour companies that offer boat trips in Mount Dora, but we like the Rusty Anchor , who offer Dora Canal Tours, as well as Shoreline and Sunset cruises. This is really one of the best ways to see the city and it’s surrounding waterways, as well as getting the chance to see some local wildlife (I can almost guarantee you’ll see at least one alligator!) and the beautiful old Cypress trees. 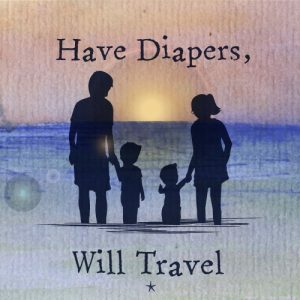 I’d recommend booking your trip online in advance, since spaces do fill up, and kids are more than welcome. If you’re feeling a bit more adventurous, skip the boat and take a seaplane trip instead! Jones Brothers and Co. offer numerous seaplane trips every day, including flightseeing tours that take off and land from Lake Dora, and longer day trips. 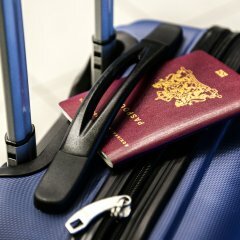 Trips can be booked online, and prices are based on the number of people on the trip, so the more the merrier! 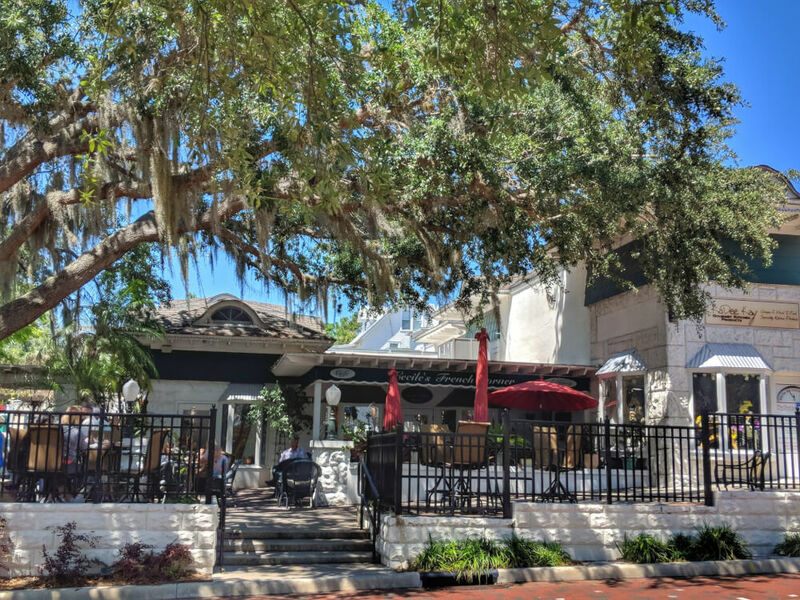 By now you’ve probably worked up an appetite for lunch, and luckily, there are some amazing restaurants in Mount Dora – literally within a few minutes of each other you can find German, French, British, Cuban, and Mexican restaurants, and we have a couple of favorites. The Windsor Rose Tea Room serves traditional English afternoon tea, with amazing scones topped with clotted cream and strawberry jam, as well as British classics such as cottage pie and bangers and mash. Cecile’s French Corner is a bistro and champagne bar that serves amazing fresh crepes, quiches, salads, sandwiches, and cheese plates (as well as delicious desserts), and we love sitting at the outdoor patio, watching the world go by and listening to live music. 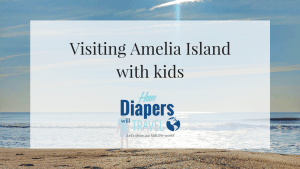 We’ve found every restaurant that we’ve been to in Mount Dora to be child-friendly, and if they don’t have kids menus, we’ve always found them to be very accommodating in making something my kids will eat. There are still plenty of things to do in Mount Dora. 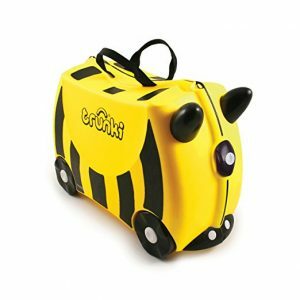 We love to simply walk around and find places for the kids to play. 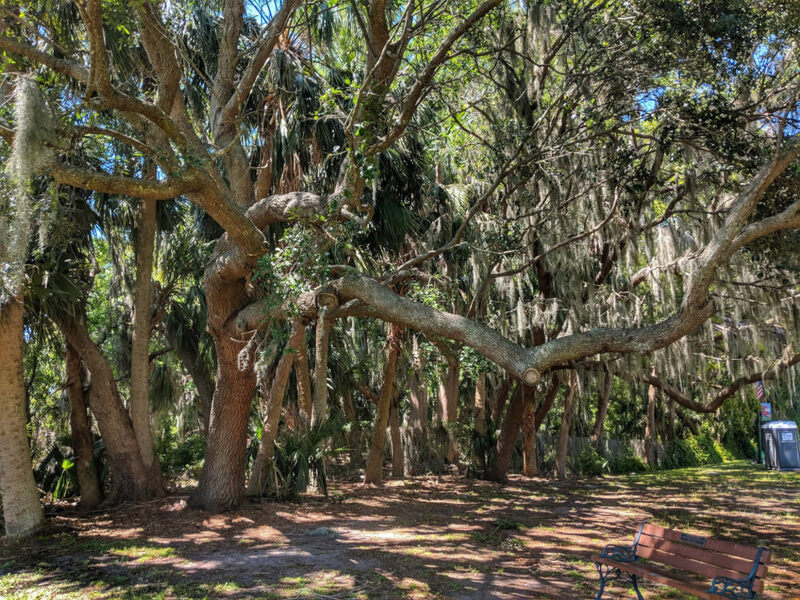 There are some lovely green spaces by the water that are usually nice and quiet, with old oak trees providing shade for the little ones to burn off some energy – just don’t get too close to that water, alligators are pretty common in the shallows! The people of Mount Dora are also nice enough to provide some benches to rest your weary feet as well! Another great place for the kids to run around is Gilbert Park on Tremain Street; this park has some great climbing structures for the kids to play on, including a huge wooden structure for older kids, and a smaller space for little ones, as well as swings and slides – all beneath the shade of numerous trees to keep the park cool. Across the street from Gilbert Park is the Port of Mount Dora, complete with a little lighthouse right on the lake. This is another great place to walk around, especially when the sun is setting and the temperature is starting to cool down. 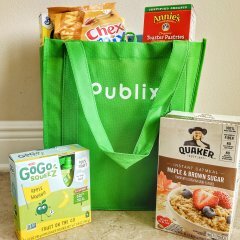 Whether you choose to stick around to try another type of cuisine in the town center for dinner, or you’re heading back home, take the long way out of Mount Dora and drive along the shoreline to see the amazing lakefront properties – if I win the lottery, I’ll be buying a place here for sure! 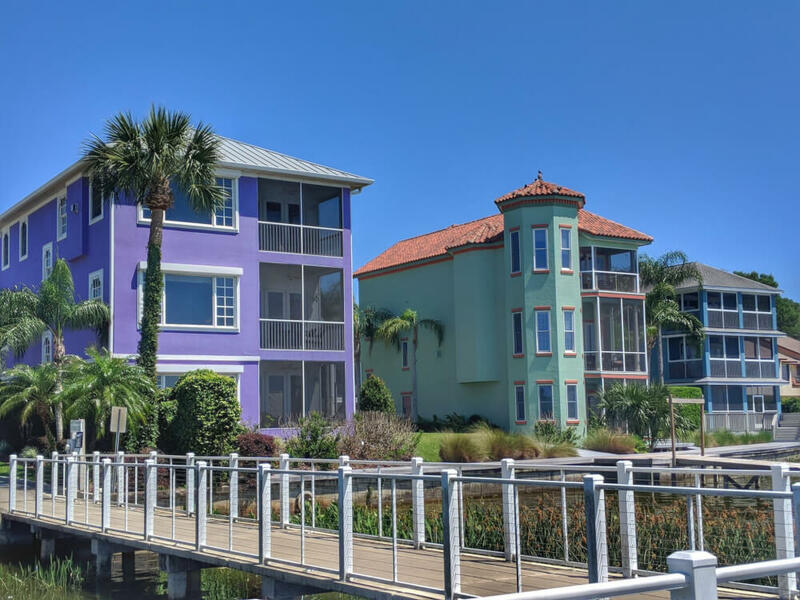 Mount Dora also offers a number of festivals and events, including the Mount Dora Art Festival in February, the Mount Dora Seafood Festival in August, and the gorgeous Festival of the Lights in December. 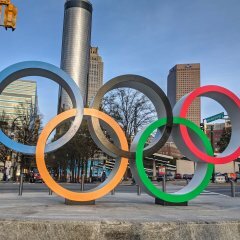 If you happen to be in the area during one of these events, I would highly recommend checking them out – they’re always a great way to not only see the area, but get some amazing local food and support local small businesses as well. You can find out more about when special events are being held on the official Mount Dora city website. Have you ever visited Mount Dora, Florida? Let me know in the comments! I love exploring little towns like this! 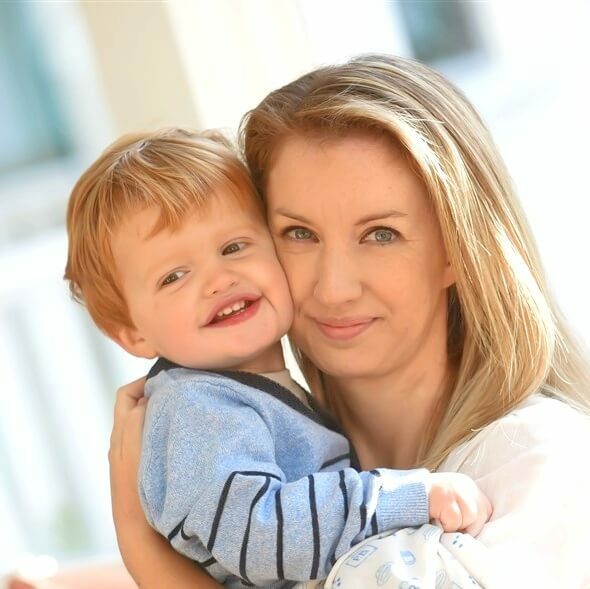 It is nice to visit places where you can just meander and relax, especially when travelling with little ones in tow. That lake is just beautiful. Exactly! I love just browsing little unique shops, stopping for coffee or ice cream, walking along the water…it’s a really lovely town. Me too! It’s a really nice place to explore, especially when there are so many places to stop and eat! I’ve been to Florida once but not to this place. It looks like it’s definitely worth a visit though. It’s a really nice place to go, not super touristy but plenty to do. Oh I would LOVE to go to Florida! It looks amazing and what a lovely place to visit! It’s really lovely, a lot like some of the smaller British towns…but with sunshine, haha! This looks like such a lovely place to explore – we have never made it to Florida but would love to make that happen one day. It’s really lovely, just a nice quaint little place to spend a day. Ive never heard of this town, but it looks super duper cute! I love the shopping center – and sea plane!??! wow! You should do that! Lol oh yes, given how afraid I am of flying in a normal plane, one that lands on the water sounds PERFECT! I’m happy to take the boat tours instead! I have visited Miami but not Mount Dora. I would love to see this place one day. 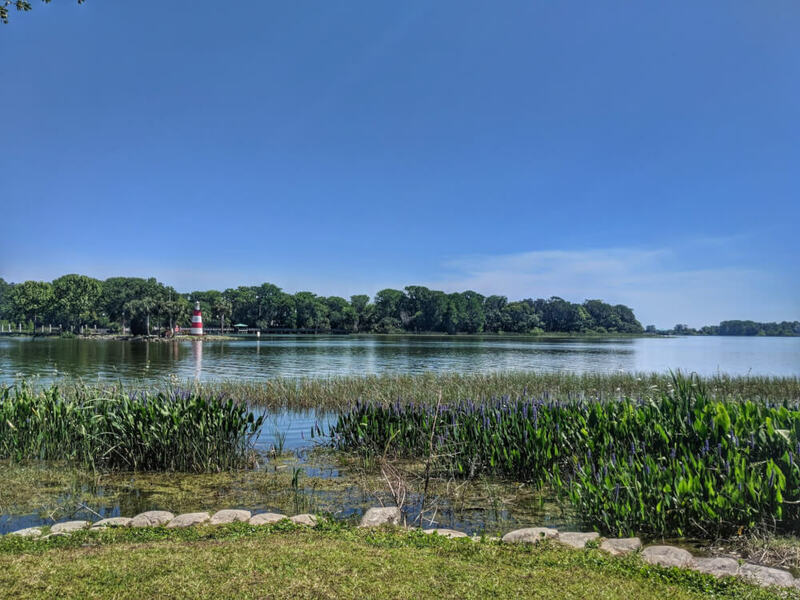 I love those colorful lakefront houses – so pretty! 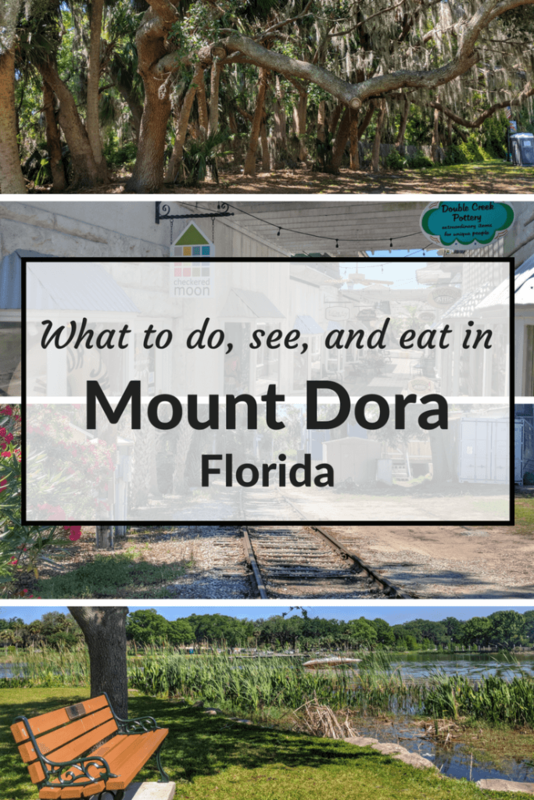 Despite living in Orlando for three years, we never visited Mount Dora. I see we missed out! Will definitely be pinning for future use on a trip back to Florida! This looks like the perfect little town to just kick back and relax in. I can’t believe I have never heard of it. Thanks for introducing me to a perfectly charming new place! Embarrassed to admit I live outside of Orlando, and haven’t been to Mount Dora in quite awhile. Thank you for all the suggestions. They will make my next visit very enjoyable. This sounds like a great town to visit, particularly if you want to escape Orlando. I like the sound of the canal tour too! I’ve never been to Florida but this looks like a perfect place for some leisurely shopping. Think I’d get the husband to look after the kids so I could have some me time though! Those trees look so beautiful. Thanks for sharing it, I would love to visit charming little towns one day and this one looks perfect. This looks like a really pretty relaxing town – I’d love to spend a day exploring and taking a boat tour too. I’d never heard of Mount Dora before so thanks for the info – really useful to know about on a trip to Orlando.